Ireland's Shane Lowry resists Richard Sterne's challenge in Abu Dhabi for a one-shot win. 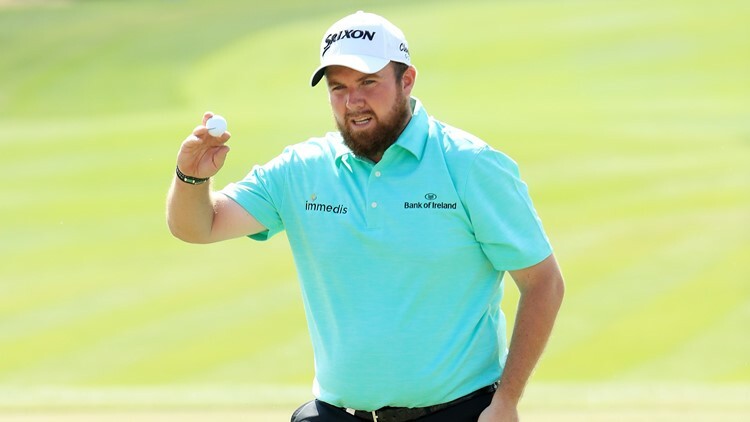 ABU DHABI, United Arab Emirates — Shane Lowry won the Abu Dhabi Championship after being taken to the final hole on Saturday. The pair were tied on the 18th tee of the final round, but Sterne's wayward approach to the final green saw Lowry win with a birdie for a 1-under 71. Lowry finished on 18-under 270 overall to clinch his first win since 2015 at the WGC Bridgestone Invitational. The wire-to-wire victory for Lowry, who tied the course record with a 62 in the first round, will lift him back into the world's top 50 and get him into golf's showpiece events in 2019.